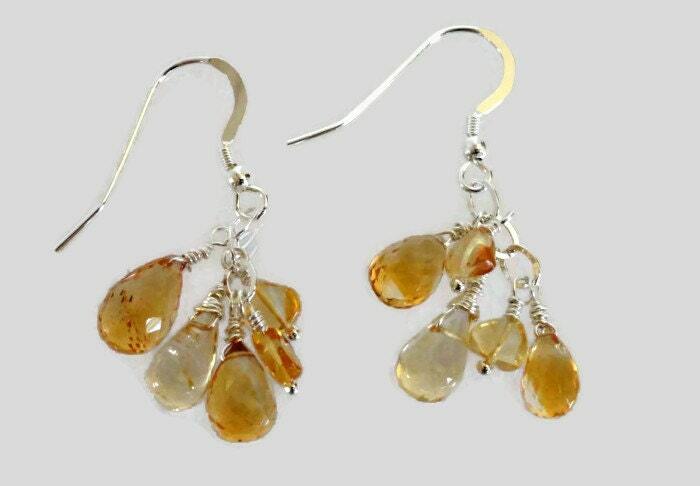 Reminiscent of the warmth of sunshine, citrine briolettes in darker and lighter hues dangle from sterling silver ear wires. Citrine is one of the most valuable and popular gemstones in the quartz group. 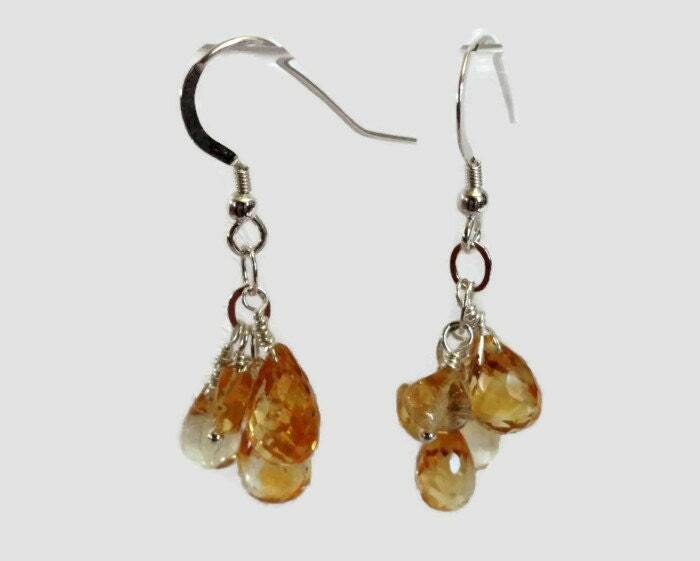 Citrine has been used ornamentally on tools and in jewelry for thousands of years. In ancient Greece, the stone now known as citrine first gained popularity as a decorative gem during the Hellenistic Age, roughly between 300 and 150 B.C. Some Biblical scholars believe that citrine was the tenth of 12 stones in Aaron's breastplate described in the book of Exodus. 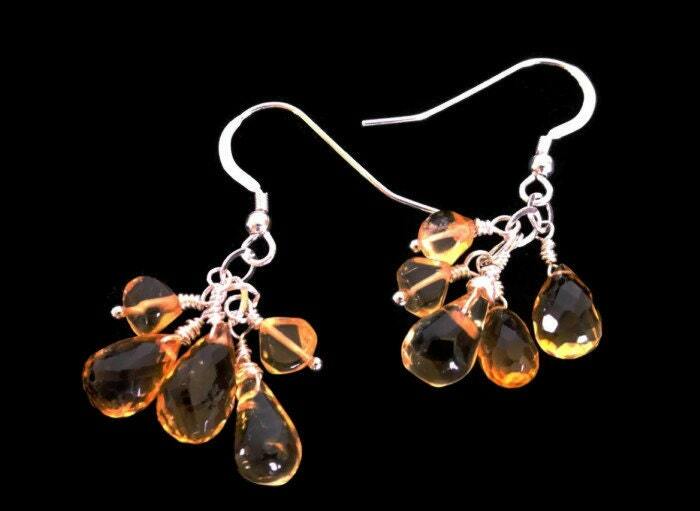 Citrine is also special in that it is the contemporary birthstone for November. It is considerably more affordable and available than imperial topaz, which is considered November's traditional birthstone.